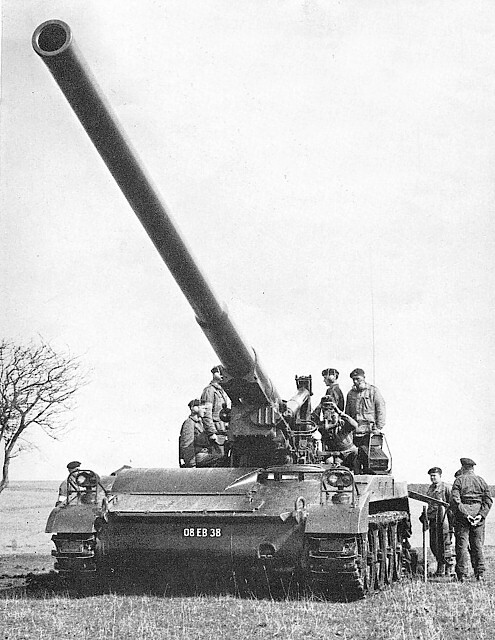 The petrol driven prototype for this US designed self propelled gun was built by the Pacific Car and Foundry Company, Renton, Washington. 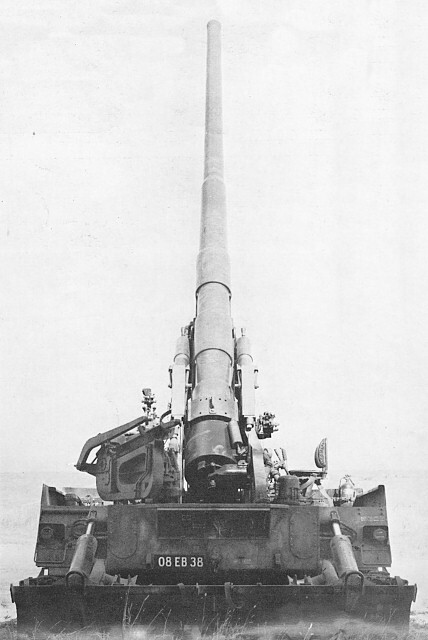 The final M107 design used a diesel engine and first saw service in the British Army in 1965 - 66. 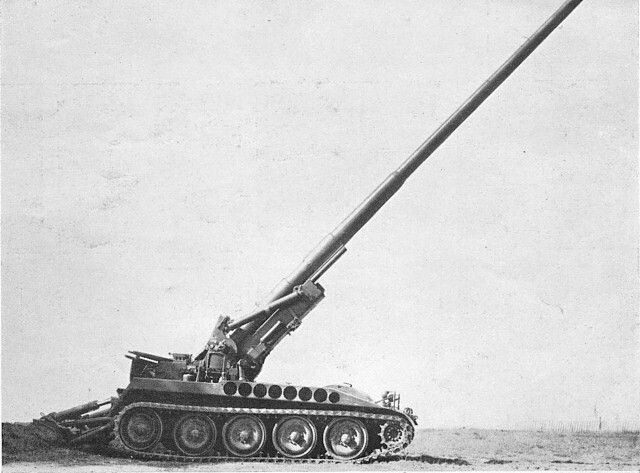 The gun is interchangeable with the 8 inch howitzer of the M110, and the rest of the vehicle is almost identical. Main armament elevation -2° to + 65°; Main armament traverse 60°. 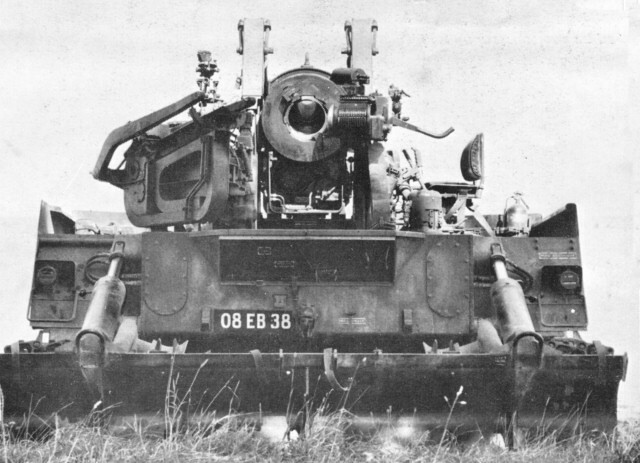 The trial designation for the US Army was T235 (petrol engine). Apart from the barrel and mounting it is almost identical to the M110 8 inch SP Gun.